Most Americans are at a loss when trying to find legal help. Do you think you might have a legal problem, but aren’t sure whether you need a lawyer, or where to find one? Or maybe you can solve your problem without a lawyer by using online forms and documents? You can find these and many other affordable legal solutions in our legal resources guide. Click here to learn more about how to select the right lawyer for you and how to protect yourself as a client. If you have a simple legal matter, you may be able to manage it with fill-in-the blank legal forms or online services. The service providers here can help you select the right form for your state and your specific legal need, and will help you fill out the form by walking you through a questionnaire. This website offers automated and intelligent legal forms with detailed instructions. Our ground-breaking document assembly technology can create a legal form document instantly that is tailored to your individual situation. No cut and pasting information into a MS Word document is required. Unlike other legal form web sites, our legal forms are "smart", easy to use, and instantly available. Check out our catalog of state-specific forms: divorce forms, name change forms, deeds, wills, powers of attorney, living wills and health care powers of attorney, LLC company formation, Incorporation, contract forms, complaint letters, and other legal forms for everyday problems. Click here to see services. Limited Liability Company (LLC): The easiest, most flexible way to run your business. Corporation: Protect your assets and strengthen your business' reputation. Will & Trust Special Offer: We've bundled our key documents with independent attorney advice. Last Will: Specify your wishes and gain peace of mind. Trademark​: Get nationwide protection for your business name, logo, and slogan. Nolo helps consumers and small businesses find answers to everyday legal questions, with a vast range of books and forms. People often think that advice from a lawyer has to be expensive and hard to find. However, you can find quick help from lawyers through these companies at very affordable rates. JustAnswer provides access to thousands of validated, certified legal experts in dozens of categories. Whether you need help with property, personal injury, tax, criminal, employment, immigration, housing, or military law, JustAnswer has the right expert for you. In many cases, the experts are even international and state-level certified, so they solve your specific issues, no matter where you are, in minutes, for a fraction of the price most lawyers charge just to speak with you. 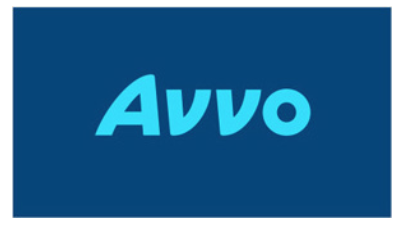 Avvo Legal Services are on demand, fixed-fee legal services that range from general advice sessions to document review, document creation, and more full services like filing for uncontested divorce or setting up a single member LLC. Services are available to meet your needs in Family, Immigration, Business, Real Estate (including landlord & tenant), and Estate Planning law. Provided by local, highly reviewed lawyers, Avvo backs these legal services with a satisfaction guarantee to bring you peace of mind. At LegalShield, we’ve been offering legal plans to our members for over 40 years, creating a world where everyone can access legal protection. For as little as $20 a month, LegalShield gives you the ability to talk to an attorney on any personal legal matter without worrying about high hourly costs. You’ll have access to a quality law firm 24/7, for covered personal situations. From real estate to speeding tickets to will preparation and beyond, we’re here to help you with any personal legal matter—no matter how traumatic or how trivial it may seem. Because our dedicated law firms are prepaid, their sole focus is on serving you, rather than billing you. LegalZoom's legal plans are available as 6 month and 12 month subscriptions for both business and personal legal matters. All legal plan members have access to 30-minute consultations with an independent attorney and a wide array of other benefits. Many plan members use the plan to get help with estate planning, business formations, legal document reviews, tax advice, and personal/family legal matters. Their network of licensed attorneys are in almost every state and are knowledgeable about federal and state laws, and the network continues to grow. Each attorney is carefully selected to ensure quality, professionalism, and friendliness. Rocket Lawyer's network of On Call attorneys provides members with legal advice, document review and more. Rocket Lawyer is not a law firm, nor does Rocket Lawyer give legal advice. They vet attorneys on behalf of their members and negotiate deep discounts on their behalf - and do not take attorney fees.